Meet Ayesha Williams, our new Director of Strategic Partnerships. Read our interview below to find out more about Ayesha. I was connected with The LP by word of mouth through a number of curator friends and LP supporters. How has The LP changed the way you look at / think about art? Throughout life, my main interactions with art have been in traditional spaces (galleries, museums, institutions) or through formal public art installations. The LP has helped me to see that “art” can expand beyond these conventional boundaries and I understand more clearly that art is embedded in our everyday experiences and can be experienced in all places. Do you have your own creative practice? My father is an artist but unfortunately his talent and artistic genius did not pass along to me. Please tell us about one of your favorite hobbies. Adrian Piper inspired me to take ownership over my identity and make no apologies. Charles Gaines inspired me to challenge my understanding of the mundane and familiar and search for alternative ways of looking at the world. My dream for The LP is that it grows to a point where we are able to provide programs and resources to even more artists and communities of color. I envision this could be expanding the number of artists able to take part in our Fellowship, Artist in Residence, and Commissions program or replicating the Kelly Street Collaborative in our other anchor neighborhoods. Watching soccer matches in the park across the street from my apartment on Sunday mornings. I’ve always believed strongly in the transformative power of art. Art matters because often times there are no words to truly express who we are, how we feel, our struggles, concerns, our triumphs and our successes. Great art sparks conversations, and helps the viewer or receiver see life and experiences in a slightly different way. Complex theories and manifestos can be conveyed through a single work of art, or even through a simple image. Art does the job when words aren’t enough. Ayesha Williams is an art professional with over a decade of experience working with visual artists, presenting programs, and generating funding for both commercial galleries and nonprofit institutions. 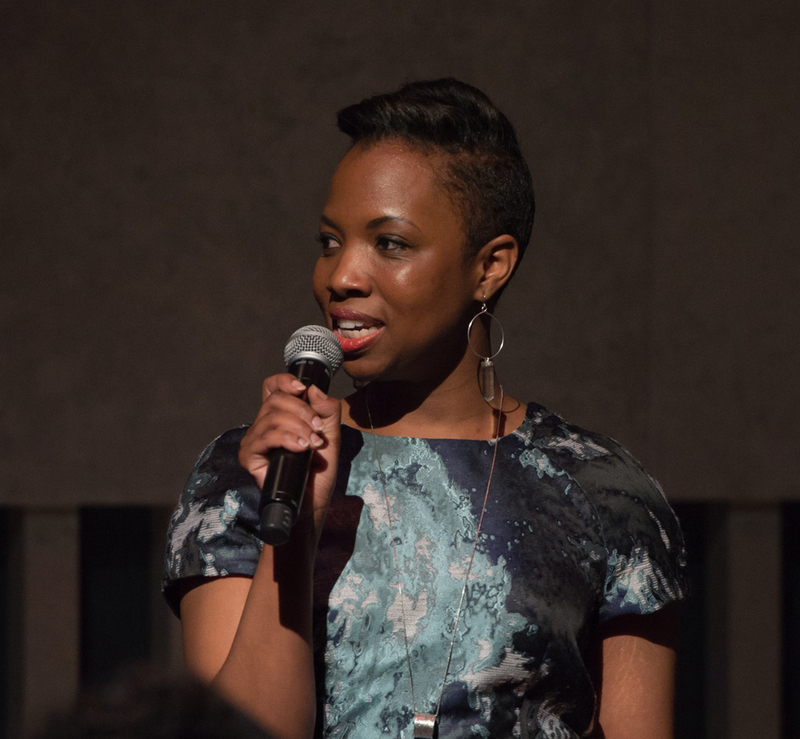 From 2010-2016, Ayesha managed Visual Arts at Lincoln Center, a comprehensive program that provides visual art offerings and experiences to Lincoln Center’s audiences and supporters. Prior to joining Lincoln Center, Ayesha was the Director of Kent Gallery. In addition to her professional experience, Ayesha is on the board of The Possibility Project and also serves as a Steering Committee member of the UN Women’s Conference 2016. Ayesha received her Master’s degree in Visual Arts Administration from New York University and Bachelor’s degree in Political Science from University of Southern California, Los Angeles.